LONDON, 3 March 2016 – MasterCard today announced that it will be using artificial intelligence (AI) technology developed by Rainbird Technology, a startup from its current Start Path Global class, to develop a sales advisory tool. Rainbird’s software will capture knowledge and experience in the current sales function and encode it into software that learns with time and experience to bring efficiency to the function of its UK sales teams working with banks to provide loyalty schemes and other card benefits. Based in Norwich, Rainbird was selected to be a part of MasterCard’s most recent Start Path Global class in November last year. Since 2014, Start Path has worked with over 60 startups, and helped them scale by providing funding and business opportunities. Through participation in Start Path Global, Rainbird obtained a new business opportunity within MasterCard’s sales function, as well as access to its commercial partners and tailored mentoring from a host of MasterCard experts. By using Rainbird’s AI software, MasterCard will extend the knowledge that was previously locked in a single team or among a few employees and make it accessible to the rest of the sales organisation. The software captures knowledge and groups together nuggets of disparate information to create a knowledge-base that will power an automated, virtual sales assistant. All members of the MasterCard loyalty sales team in the UK can take advantage of the virtual assistant that is equipped with the experience gained from the entire sales team and the thousands of customer conversations. This will help streamline sales processes and systems by applying standard best practices to manage leads and close deals with prospects. The virtual assistant will also possess the capacity to learn with time as more knowledge and data is added to the database. “Rainbird’s technology can structure sales expertise, knowledge and experience in such a way that it can augment knowledge-sharing and decision-making across all levels of MasterCard’s sales function,” said Ben Taylor, CEO Rainbird Technologies. “Bringing efficiency to the sales function is an important use-case for our AI software. This pilot opportunity with MasterCard adds weight and credibility to future projects within this vertical. Rainbird is one example of how Start Path is partnering with startups to develop and test the next-generation of technology solutions. Rainbird joined the program along with five other startups late last year. Start Path is helping several other startups from that batch to explore new markets and businesses. The Start Path team has also just begun working with dopay, a startup based in the United Kingdom that enables employers to pay wages electronically to employees with no bank accounts; and Universal Basket, also based in the UK, a universal shopping basket that allows consumers to buy items from multiple retailers but pay via a single checkout. As part of the program, dopay and Universal Basket gain access to a global network of MasterCard experts, connections with MasterCard’s commercial partners, and the opportunity to integrate with MasterCard products and tools. Each quarter, MasterCard Start Path recruits a new class of startups to embark on the six-month virtual program. The program is currently accepting applications for its next class. The application window to join the next class is open until March 21, 2016. For some companies, the Start Path team will contact you for a call to further discuss your application. The Pitch Day is an opportunity not only to pitch for selection into the program, but also to meet with big-brand partners of the program. MasterCard Start Path is a global effort to support innovative early stage startups developing the next generation of commerce solutions today. Start Path was launched at the end of 2013 with an objective to help early stage startups partnering with each startup to grow their businesses faster than they could by themselves. Startups can benefit from the knowledge of a global network of MasterCard experts, access to MasterCard customers and partners, and the ability to innovate on top of MasterCard solutions. 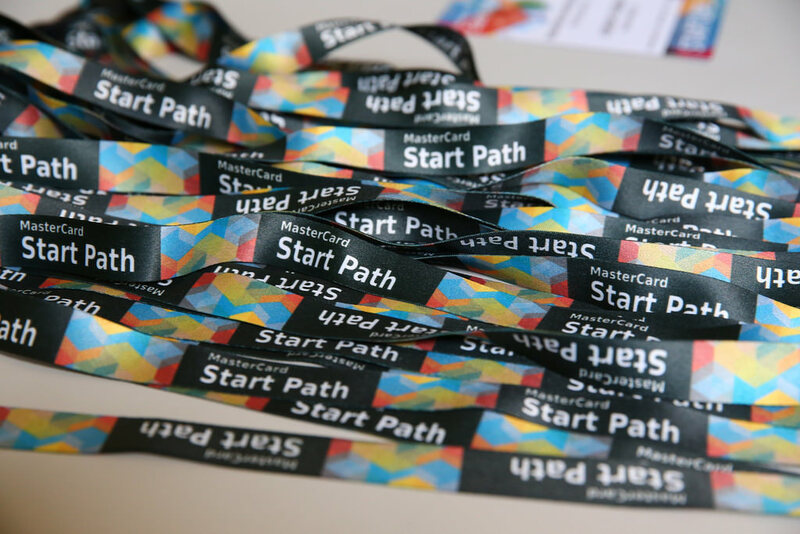 For more information visit www.startpath.com or follow MasterCard Start Path on Twitter at @MAstartpath.